This AR Medieval Map of Hampshire was created as part of a number of projects that commemorated the Battle of Agincourt’s 600th anniversary. 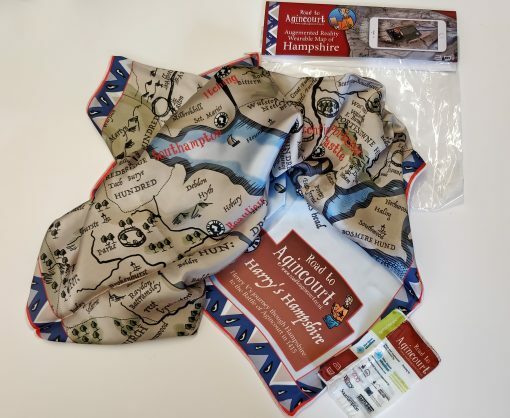 Harry’s Map of Hampshire, is a unique wearable AR Map that can be worn as a scarf, mounted as a souvenir print or simply stuffed into a pocket and used traveling through Historic Hampshire. This Augmented Reality Medieval Map of Hampshire is a result of work for the Road to Agincourt Cultural and Historic programme. 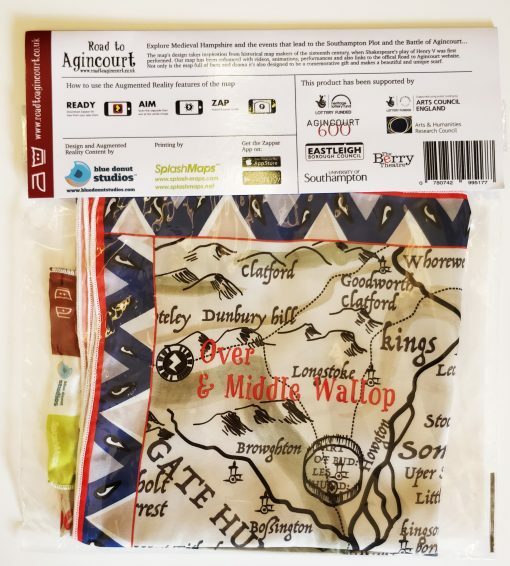 The map commemorates Hampshire’s role in the events that led up to the Battle of Agincourt. 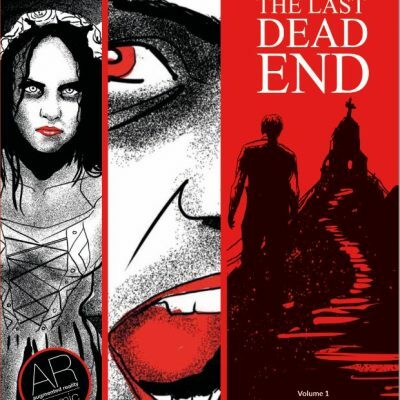 The Arts Council England, English Heritage and Lottery Funding supported the development of the projects that ran over the two year period. The Road to Agincourt project included cultural events, guided walks, plays, school drama workshops and the development of the King’s Ship Trail situated in the Manor Farm Country Park. Our augmented reality map forms part of a series of creative technology projects Blue Donut Studios developed. 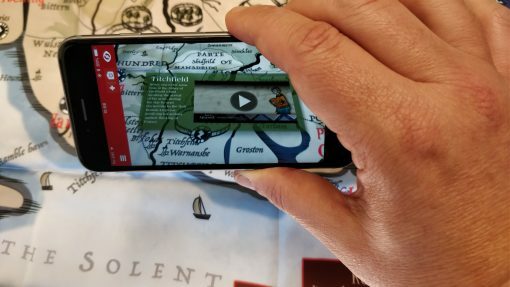 We used AR technology to create a travelling AR Exhibition and the Virtual Museum of the Grace Dieu whilst supporting the Eastleigh Tec Hub. Harry’s Map of Hampshire is a wearable AR Map worn as a scarf or presented as a souvenir print. 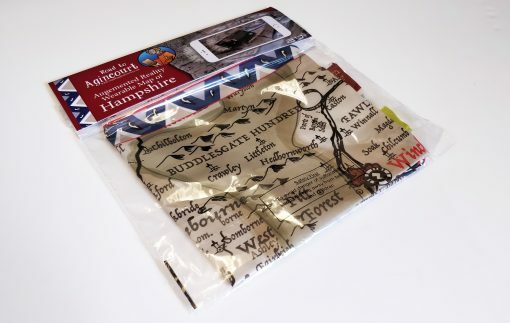 Made of fabric, it is an ideal gift that’s portable and light, and stuffed into a bag or pocket is great for travelling through Historic Hampshire! John Speed a medieval map maker inspired our map of Hampshire. John Speed drew his map of Hampshire in 1611. 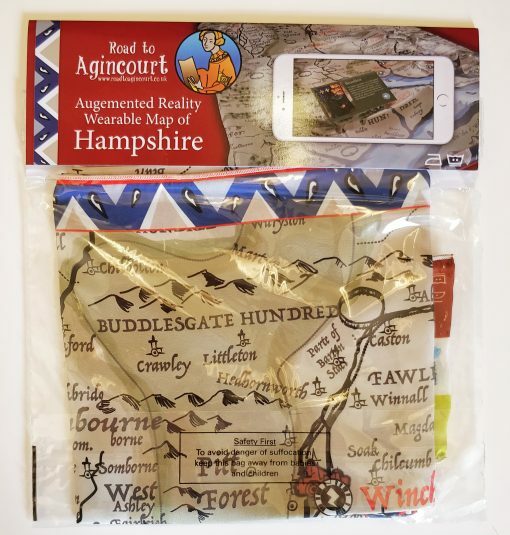 We wanted our Augmented Reality Map of Hampshire to reflect his map making skills, therefore we created something that looks beautiful and serves a practical purpose. 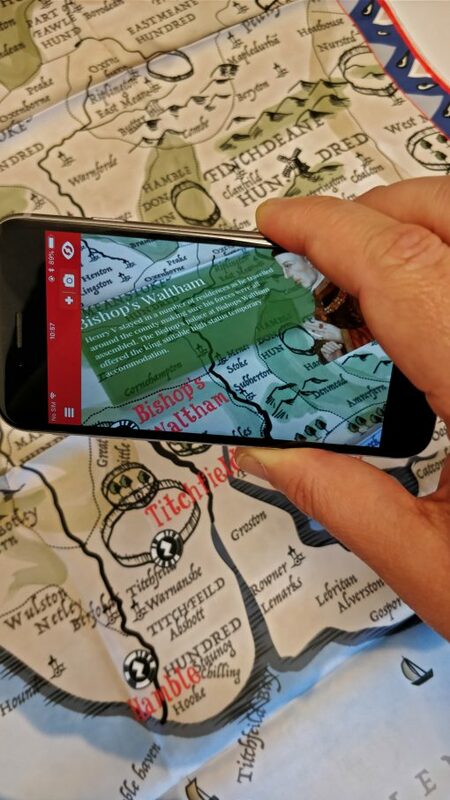 Designed as an historic multimedia tour of Hampshire our map provides an insight into the time of Henry V and medieval life. Splashmaps, our partners printed the map on a silk effect high sheen material. This makes the map easy to care for and doesn’t need ironing. Harry’s Hampshire AR map is machine washable. King Henry the V commissioned his Great Ship the Grace Dieu. Resources from across Hampshire were using in the ship’s construction. William Soper was in charge of the King’s ships and oversaw construction of the Grace Dieu. 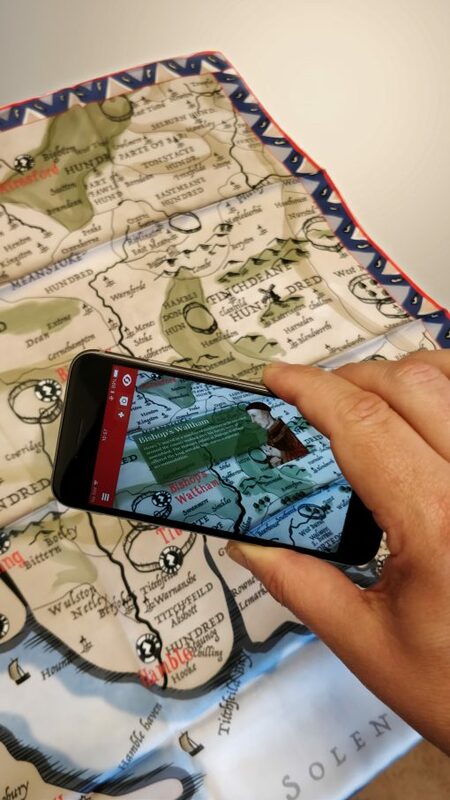 Use the AR App to find out about the treacherous plot to kill King Henry V. The AR Map highlights various locations of these events with videos, animations and online content. 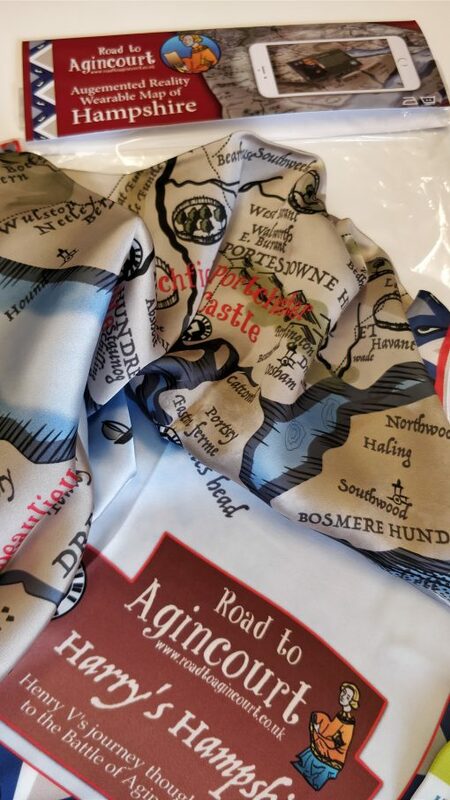 The Fabric AR Map is wearable and it’s colours of blue, golds, silver and red make this a classic accessory for most women’s clothing. Our map is a washable fabric with high detailed printing. Use Zappar, the free mobile AR app to access the digital content. Watch videos and interact with the AR map when folded open onto any surface. The Zappar app is available through Apple’s Appstore Google’s Play store for Android. Here are a series of videos that demonstrate the AR Mobile App working with the fabric medieval map. For further details about the AR Map of Hampshire, visit our AR Studio page.